More than 3500 Sales — that’s a Milestone, wouldn’t you say. We are the most selling checkout solution on the opencart market. Killing the competition with the #1 solution on the market — we are proud to say we are the best. All the steps are brought on one page. You can shuffle the order as you like. You can organize the steps into 1, 2, 3 or even create a double column on the right. In the heart of AQC lies backbone. This allows browser rendering which is super fast and keeps the code clean and simple. Too many fields? Not a problem — hide them. You are free to require all the fields or not require them at all — its up to you. We added our social logins module inside. You get to set three Login buttons: Google+, Linkedin and Yahoo. For more social logins — you can purchase the full version. See the insights of how your checkout performs and how to optimize it by learning your customer behaviour and offering the best checkout experience. Now you can try different settings of you checkout. Set the probability and show randomly 2 different checkouts. Get the rating of each settings and choose the one that performs the best. Our extensions are multistore. But with the AQC checkout you can also setup different designs and styles of the checkout for different shops. Unlimited possibilities. It looks perfect on your mobile phone. The checkout will resize to the screen, organizing the steps nicely one after another. 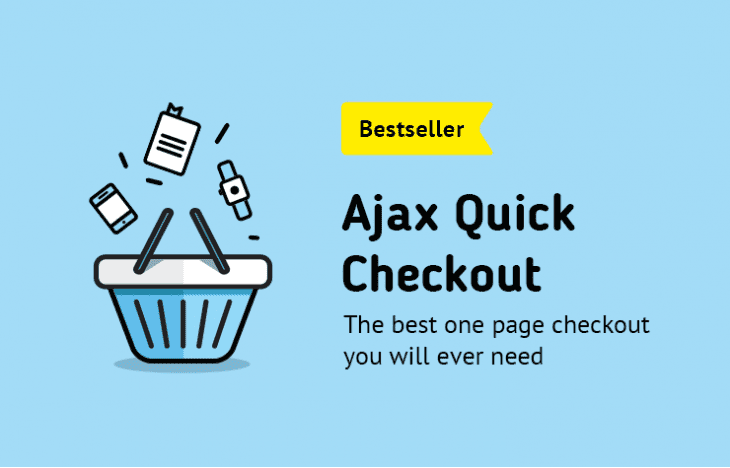 Being the most used checkout on the market, your theme will be happy that you have installed AQC. It just feels right. Design sells — we know this. That’s why we added the ability to extend the themes of the checkout. There are 5 themes at the moment – but there will be more. If you are a developer – feel free to create your own new theme. We support most of the payment and shipping methods available. The data flow is identical to the opencart default checkout so you can use all the default methods with AQC. For those that are a bit tricky we offer support. We are here for you. Easy to install and use module. Awesome support! I would like to particularly mention Ilya for the awesome job. Great work! Excellent and quick support, resolving all issues! I purchased this extension some days ago and had issues with installation. Bogdan helped me install it ( he did it actually ) and then we had a very constructive communication through email about some settins regarding the extension. I recommend Shopunity because they seem to be doing SERIOUS work on their extensions and I think they will be providing SOLID work/extensions/modules for the Opencart platform for the years to come. Very good modul, and even better support service!